Sustainability at UNG Training the next generation of sustainability leaders. The University of North Georgia is committed to advancing our role as a regional sustainability leader through modeling sustainability practices and innovations that can be shared with others in our service region. We recognize well-organized student engagement as the foundation of successful sustainability programs at universities across the world. 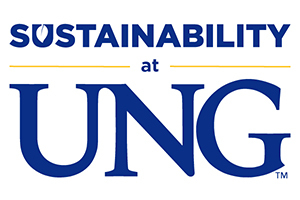 Sustainability leadership at UNG cultivates experiential learning towards applied projects that improve campus and community sustainability. Sustainability leaders learn the skills needed in building a better world.